The Club Hotel at No.5B on the Bund (Kaigandori) in the foreign settlement of Yokohama. It was one of the most important hotels and founded by A. Hearn, a former steward of the Yokohama United Club, around 1883. The building had been the Dutch Consulate, but was completely renovated for its use as a hotel. 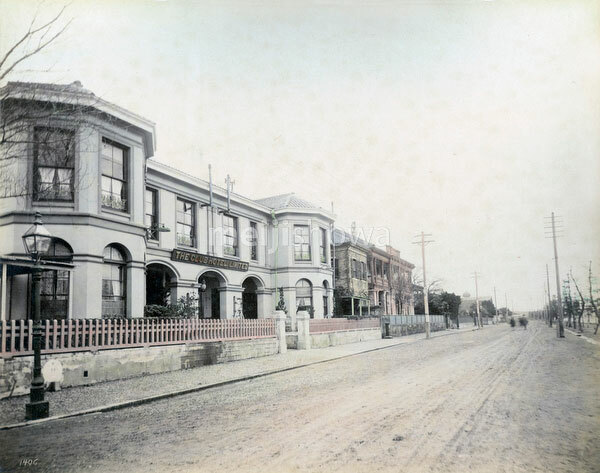 To the right is the United Hotel which became part of the Club Hotel in 1900. Ca. 1885.